"My T-zone is so shiny it could temporarily blind you." 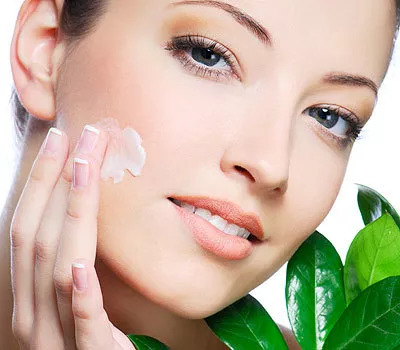 "Lightweight gel moisturizers are good for people who have very oily skin," says Karen Kim, MD, a dermatologist in Chestnut Hill, Massachusetts. "Because their oil glands are so active, they don't need a lot of extra hydration, and a gel (make sure it's oil-free) won't be too heavy or clog pores." Try (3) Origins Make A Difference Plus + Rejuvenating Treatment ($40; origins.com). "A little tightness here, some oiliness there. I need something for my multiple-personality skin." If you have dry patches among normal areas, try a light, oil-free lotion that will hydrate dry spots while providing moisture where it's needed, Dr. Kim says. We like (1) Elizabeth Arden Visible Difference Oil-Free Lotion ($40; elizabetharden.com). Or use a rich cream on dry spots and a light lotion where you're slick. "Welcome to Dullsville. My skin looks flat and feels dry all over." Dullness--along with itchiness, tightness, or flaking--is the hallmark of dehydrated skin. That means you should swap lotions for richer creams, which contain more hydrating ingredients, explains Macrene Alexiades-Armenakas, MD, an assistant clinical professor at the Yale School of Medicine. One to try: (2) Garnier Skin Renew Daily Regenerating Moisture Cream ($13; garnierusa.com). "Ouch! My skin is flaky around my lips and eyes." For extra-parched areas, spot-treat with balm to protect against further moisture loss, Dr. Kim says. "It seals in moisture that's naturally occurring in the skin," she adds. "Balms are great in winter, but since they tend to be greasy, they're best for small areas." Try (4) Bobbi Brown Extra Repair Moisturizing Balm SPF 25 ($90; bobbibrowncosmetics.com). Use a lighter moisturizer on the rest of your face.